Max (age 13), who is just the best little guy, is home with his new mom and dad, Suzanne and Gary and canine brother, YAH alum Rooney! Suzanne and Gary's commitment to the seniors of Young at Heart is remarkable, as they are repeat adopters. 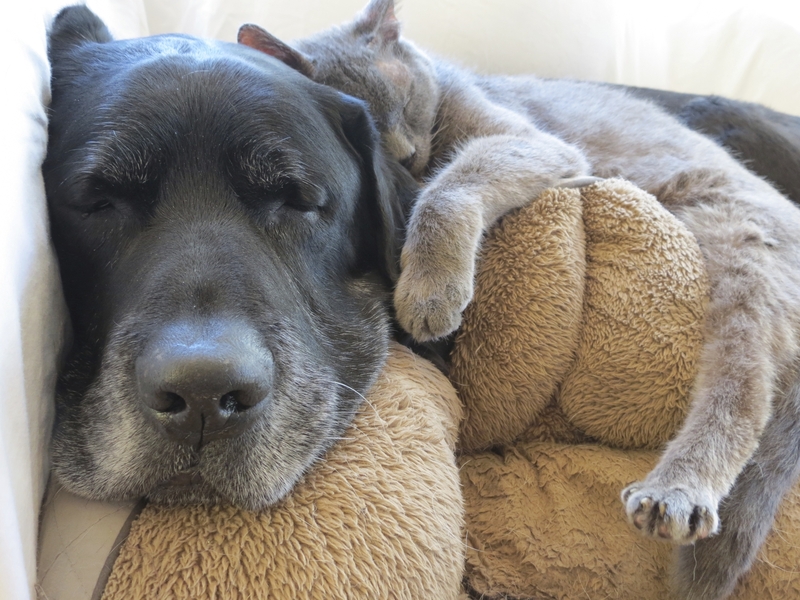 Max is not the first, or the second or even the third senior they have adopted.... He is the fourth Young at Heart senior they have welcomed into their hearts and home! Amazing!! We know that Max will have the best life and send heartfelt thanks to his forever family for their devotion to our seniors. Thanks goes to his foster mom, Sharon, too! Max was her first foster, and being the very special dog that he is, it was bittersweet to see him onto his new family. Fostering requires that you not only give them your home, but your heart, too, and we thank Sharon for being such a wonderful foster mom to Max. She is part of an amazing team of fosters who is making all the difference for senior pets in need and we look forward to Max being the first in a long line of fosters for her!